It was really great meeting others from the area who like to hike, and such a nice group of people. Many were also working on their 46 and always looking for others to hike with, so I’m hoping we can stay in contact. I enjoyed the social aspect of hiking with the group, but I also realized how much I like hiking alone. It’s nice having the freedom to stop when I want to stop, cruise when I’m feeling a burst of energy and take photos easily without worrying about slowing people down. But, I suppose mountain climbing alone in the high peaks probably isn’t a totally smart thing to do, especially in the more remote spots. 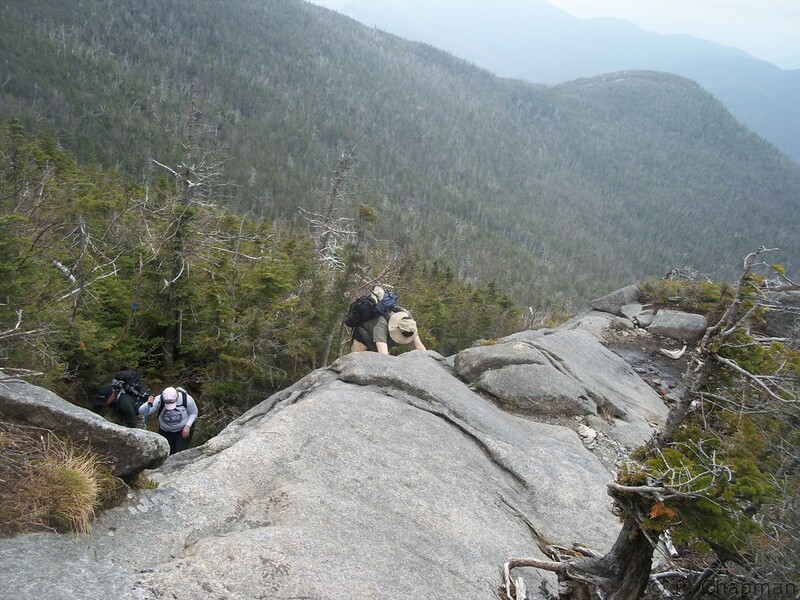 I’ll definitely continue to do the groups, but will hopefully meet individuals through ADK to hike with on the off-weekends. My ideal would be hiking with just 1 or 2 others. Unfortunately, the weather was really wonky yesterday. It felt hot and humid when we started the ascent. I was totally unprepared for the insects, and I hadn’t thought to bring a short sleeved shirt, as two weeks ago I was hiking in winter. I was absolutely sweltering, even after stripping down to my base layer. 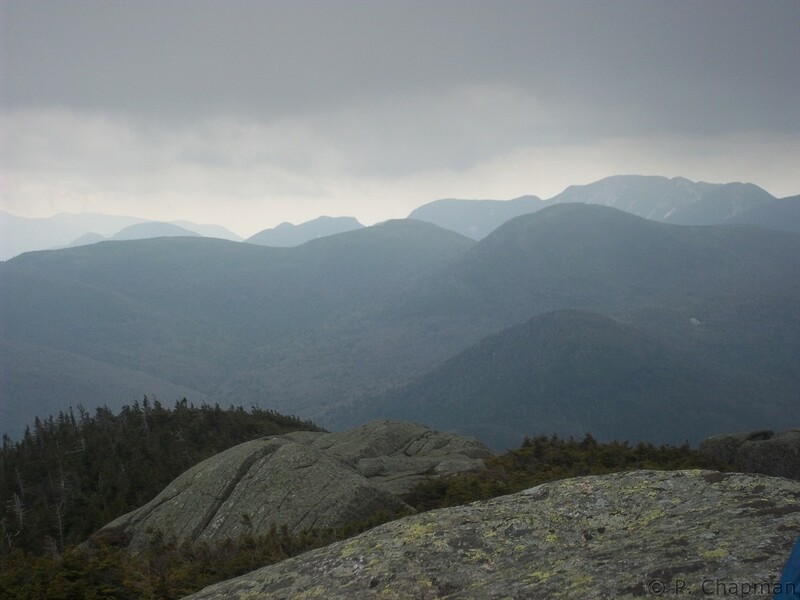 So, I learned yet another valuable lesson – pack for 4 seasons when hiking in the Adirondacks. The trail was very pretty. I loved the birch tree forest and the waterfalls we maneuvered across. 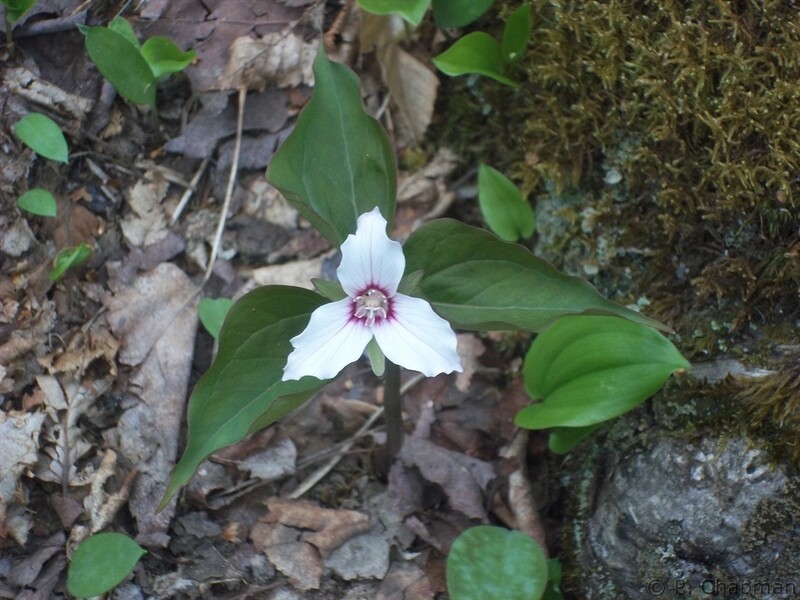 There were signs of spring everywhere; little bits of green popping out of the brown landscape.As we got closer to the peak, the warm temps, sun and humidity (along with the insects, thankfully) disappeared. There had to have been a drop in temperature of at least 20 degrees – I had all my warm clothes back on, along with a hat and gloves. 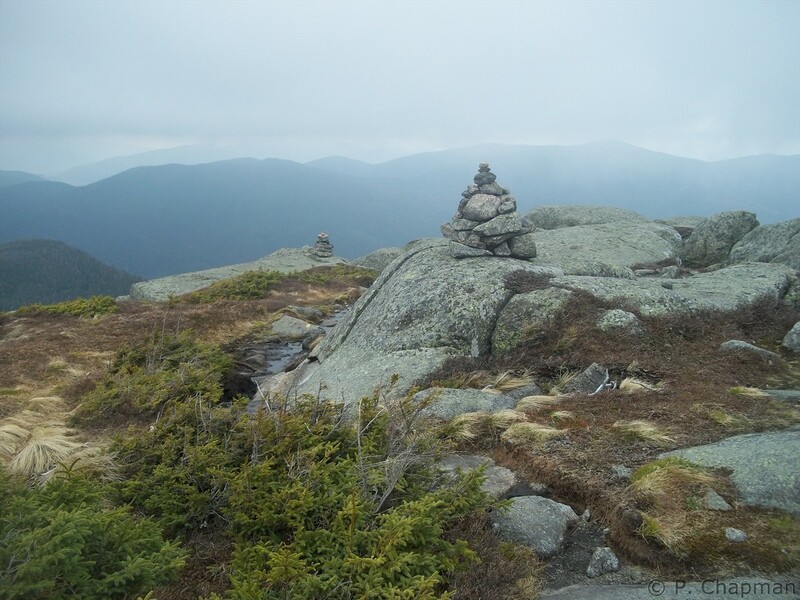 It was also really foggy by the time we reached the summit, which was a bummer for visibility – Wright has a bald, rocky summit with a 360 degree view, and would have probably been absolutely gorgeous on a clear day. 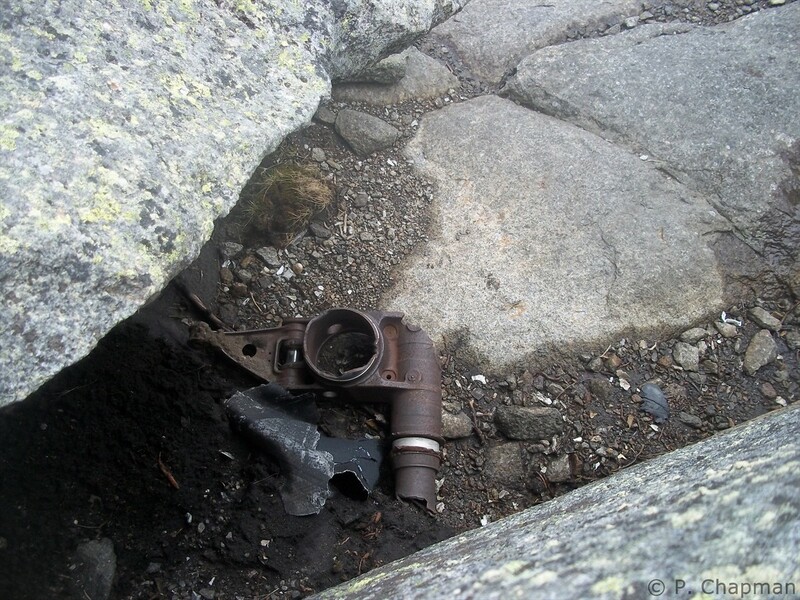 An interesting side note about Wright: in 1962 an air force bomber jet crashed into the mountain, and there is still debris scattered around from the crash. There’s a plaque on the summit honoring the 4 soldiers who died. Here’s an article about it. Thanks for sharing Pru! The pics are just lovely! Interesting article on the plane crash. Thanks, Lisa! Yeah, it seemed odd to me that there’s still wreckage up there. Not tons, but a few pieces scattered around. I guess the wings are still someplace down below on the mountainside. Yeah, small groups are better than big ones. But I find when there are big groups they usually break into ability clicks by default. Then everyone meets at the top eventually. Super pics. Yes I enlarged and saw the face. Trippy stuff! The nature is gorgeous up there. There was only 6 of us, so it really wasn’t a large group. I’ve just never hiked with more than 1 other person before, so it was an adjustment. Fun though; glad I found them and joined the ADK. Great photo journal. Loved sharing your adventure. Pru, Great trip report. 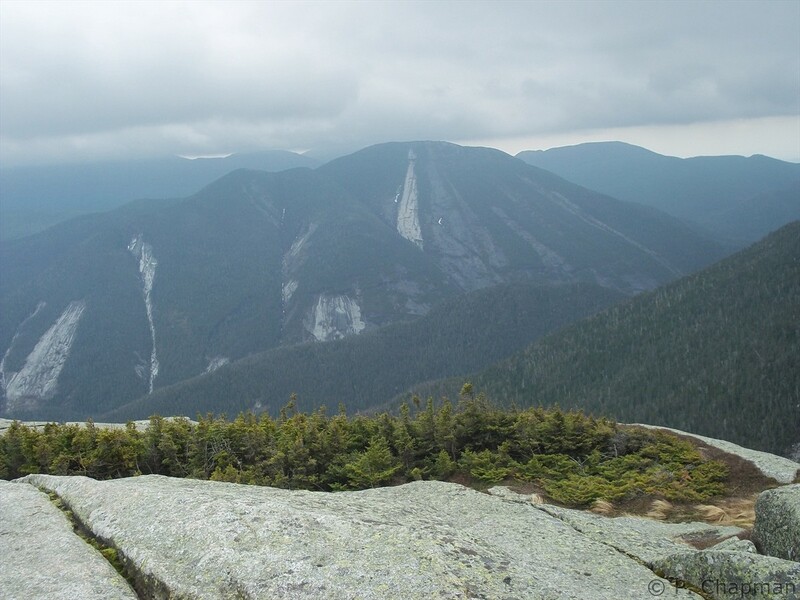 With regards to the face, there is a man in Plattsburgh who has documented several hundred examples of “faces” carved into the rock in the High Peaks. He wrote a book, gives a slide show. Many of the faces that he’s documented are buried beneath vegetation, trees and the like. He reasons that these faces are around 6-10k years old. Many of the faces are looking at each other on the various peaks. There’s a small one on Marcy summit and a huge one on Wallface, one on Grace (E. Dix) and others. Wow, I had never heard that. Thanks for sharing! I’ll have to look him up. I was starting to wonder if it was the ghost of the lone soldier from the crash whose remains were never found… heh. Beautiful pics, what a difference a couple weeks makes. Must of been humid! Very cool birch trees shot too. I don’t think I’ve ever seen that many together like that. I know, right?! I guess winter is officially over, and I can’t say I’m disappointed. 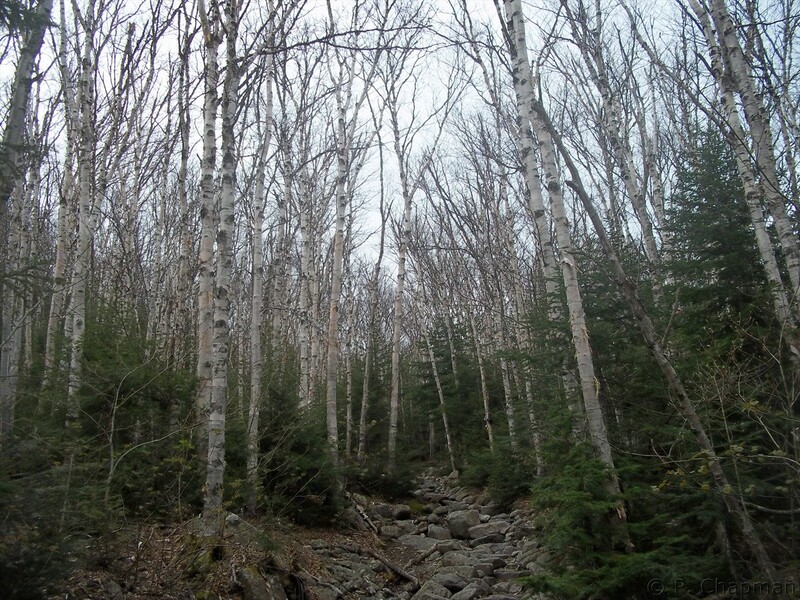 I loved the birch trees – so pretty! 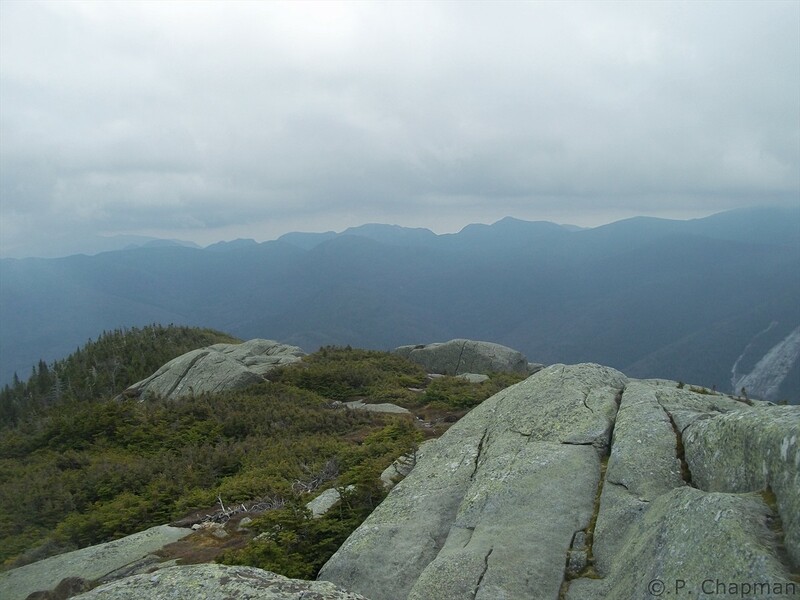 I think the best thing about Wright is, the view of Colden from the summit. Beautiful pics!!! The view of Colden is pretty amazing. 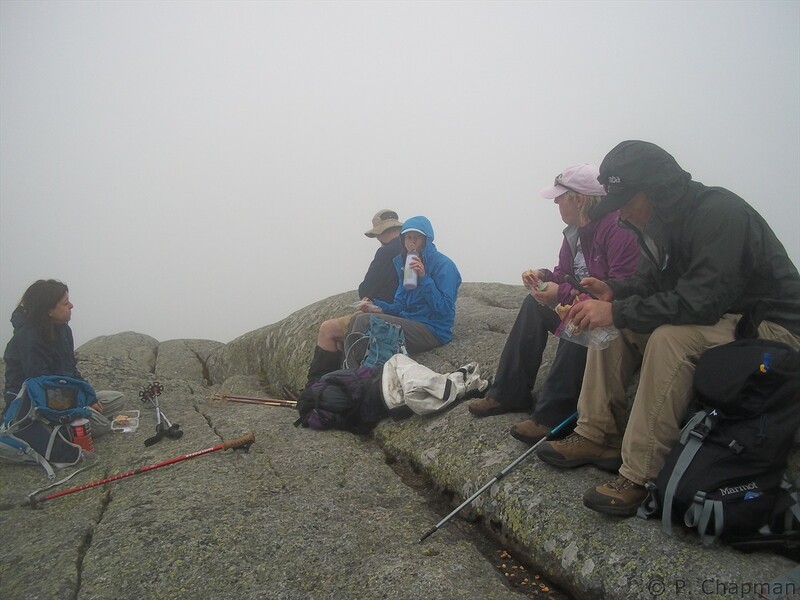 Though someday maybe I’ll reclimb it on a clear day… the clouds at the summit were kind of a bummer!